With a name like Crappy, this guy's getting a bum rap. 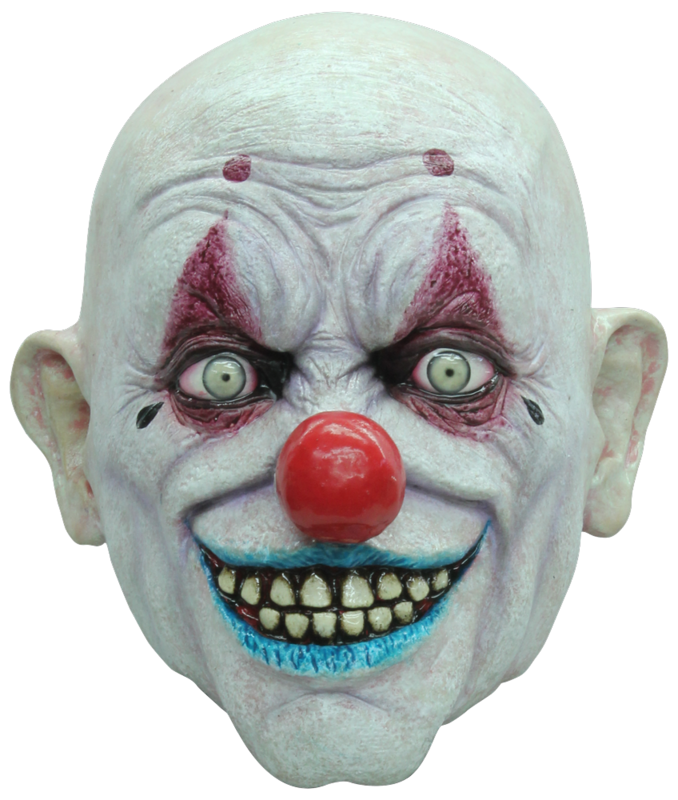 This is a great scary clown mask featuring piercing eyes and a big evil grin. Mask fully covers the head, but not the neck. This is one of my favorite masks! It fits snug and has great detail! Highly suggested if you like clown masks!!! I was unsure about this mask because of the low price but don't let that fool you. It actually has a great amount of detail and will be a fantastic addition to my mask collection.